For many people, having diabetes does not stop them from living a healthy and active lifestyle. 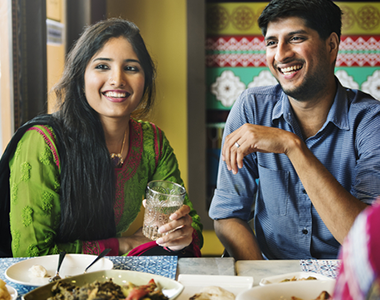 Whether it is going out with friends, grabbing a bite to eat or enjoying the occasional alcoholic drink, it is important to be prepared and proactive when it comes to diabetes management. 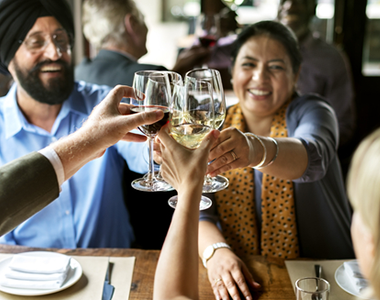 When it comes to alcohol, it is important to recognise the effects it can have on glucose levels to better understand the body’s insulin and carbohydrate needs when drinking. After eating, food is broken down into glucose which is needed to give the body energy for all daily activities. Our bodies also need insulin, normally produced by the pancreas, to help transfer glucose from the bloodstream to the cells. When the pancreas does not produce insulin the glucose will remain in the blood, leaving cells without any energy. These high glucose levels in the blood cause the more acute clinical signs and symptoms of diabetes. To treat diabetes it is important to take into consideration many factors in its management, including blood glucose monitoring, carbohydrate intake, physical activities and insulin requirements to ensure good blood glucose control and to reduce the risk of complications. 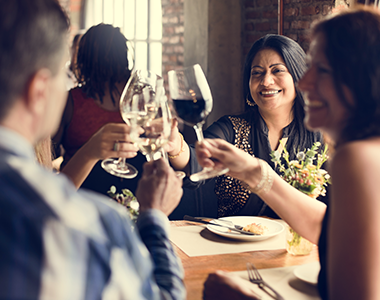 Alcohol can alter blood glucose levels, or potentially increase the risk of hypoglycaemia. It is important to understand the amount of carbohydrates in each drink, as this can vary depending on alcohol type and mix. It is important to monitor glucose levels before, during and after drinking alcohol. To deal with the challenges of keeping blood glucose levels under better control, many people with Type 1 diabetes rely on insulin pumps. 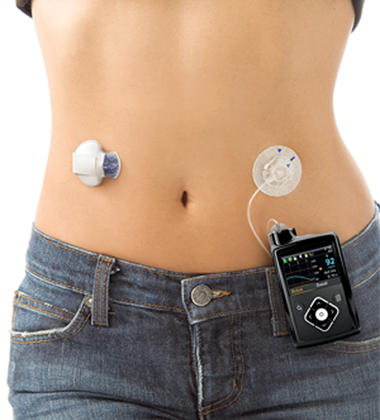 Learn more about the MiniMed 640G System and Insulin Pump Therapy.